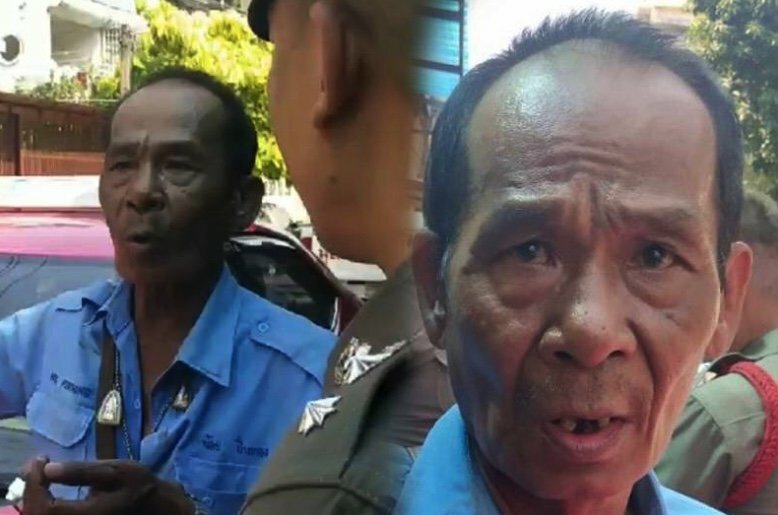 A taxi driver fought back when a passenger produced a box cutter and attempted to rob him in a busy soi in the middle of the day in downtown Bangkok yesterday. Noi Pionthong, 63, was in a state of shock and had a cut finger when Bang Phong Phang police arrived in Satupradit Soi 15 in the Yannawa area of the city. He said that he had picked up a passenger at Mo Chit BTS who asked to be taken to Soi 15. When they arrived - with people milling about outside - the passenger put a box cutter to his throat and demanded money. But plucky Noi fought back and raised his knees high up to sound the horn on his steering wheel. This made the attacker flee the vehicle. The assailant jumped on a "big bike" that was parked by an accomplice nearby and escaped. Noi didn't manage to get the registration plate. Capt Hannarong Donsawai of the Bang Phong Phang police said they are hunting a tall, thin man aged about 30. No but he did have slim fit back jeans, if that helps. I've known a few cabbies attempting "daylight robbery too"
some of them even have a licence to prove it !!! My sentiments as well - now a victim rather than a perpetrator! Poor uncle, he had the amulet but still this had to happen. Never mind, he's due a bag-of-money-on-the-back-seat find very soon, and the reward will make up for today's unpleasantness. Another very, very good man doing very, very good and being victim of the evil cab passengers. May Go protect his soul and replace his lost tooth. Amen!